I’m so excited this week because I am hosting the Gluten Free Menu Swap! I have picked garlic for the theme ingredient for the week. I will be adding links to everyone else’s menus throughout the day, so be sure to come back to see them all. If you would like to host a week of the Gluten Free Menu swap, drop Cheryl from Gluten Free Goodness an email; she would love to hear from you! 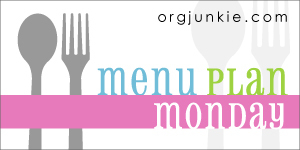 Also, stop by Laura’s blog, the Organizing Junkie for Menu Plan Monday for other menu inspiration. 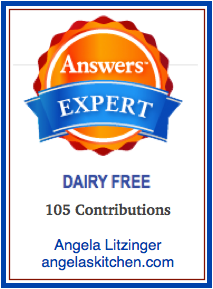 Laura put in brackets what she is cooking for her son (who has food allergies) along with each day’s meal this week. The bifanas sandwiches (with our own gluten and dairy free buns) from Diary of a Stay at Home Mom were a big hit for the family. I didn’t have garlic powder, so I thinly sliced garlic and rolled a few pieces into each of the pork cutlets before marinading. Roasted peppers and caramelized onions topped our sandwiches off. Yummy, and great food for a game night. Thanks Sandra! I have a poll up in the side bar if you would like to vote on what recipe you would like to see me post in February. If you have any ideas of things you would like to see posted in future months, you can leave me a comment, also. I really value your input. Thanks! What ‘s on your plate? Heather at Celiac Family uses a lot of garlic like I do. She is is still digging out from the massive snow fall they had this weekend. 33″ in less than a week. Yikes! Sounds like they will stay worm and cozy, though, with the pulled pork sandwiches served with spicy slaw (I have to try that one – yum! ), and her salmon with a balsamic glaze. For Valentine’s Day Dinner she is making Chocolate Creme Brulee for dessert. She has one lucky family! Cheryl at Gluten Free Goodness has been baking up a storm while stuck at home: gluten free croissants (!! ), meringues, apple crisp and brownies. Wow! She has Chai Chicken, Red Lentil Dal (one of my favorite things) and Red Pepper Chicken on the menu this week. It looks like she is treating her hubby to chocolate covered strawberries this week also. Nice! 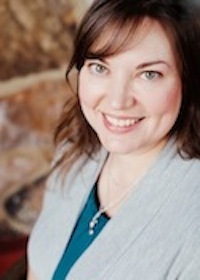 Be sure to drop her a line if you would like to host a week of the Gluten Free Menu Swap. Esther at The Lilac Kitchen has a link to a garlic confit she has made. It sounds like it would be great to have on hand. This week she will be serving stir-fried vegs, sweet potato and parsnip sticks (I love the idea of parsnip fries), and fish. We’ll have to keep an eye out for her Daring Cooks challenge later this week. I love seeing how different cooks interpret the same recipe. « Game day snacky ideas. So sorry I posted it so late! Thanks so much for hosting. Wasn't sure where the round-up was this week, but I found you! Here's a link to my menu this week: http://celiacfamily.com/menu-plan-feb-8/ Thanks for hosting. the thai thighs sound delish! thanks so much for hosting!